i look out upon the world below. the streets skew away at all angles. of other places i’ve been. and the streets are dirty. like it’s watching at the world with me. winter is always more revealing. in a poor room down the street. a fire to rule the skies. This is the way I have chosen. The rest of them took another way. Just before I was about to join, I stayed behind because I heard another voice that stirred my heart and stilled my feet. They had snickered when I tried to tell them. The sun beat hard on my face as I stood and watched them walk away. The reality of a deep loneliness sunk in as they rounded a corner and the last of them disappeared. Tears began to flow. I stood and didn’t move; for how long, I don’t know. I only knew I had heard the voice. But there didn’t seem to be any other way to go. Suddenly a breeze stirred the trees around me, feeling cool against the sweat and tears on my cheeks. I closed my eyes. The thought that something was giving life to the movement comforted me. Maybe I wasn’t alone. A voice startled me out of my confused stupor. “They are going the wrong way.” A man was there, suddenly among me, motioning up the trail. I hadn’t heard him approach. My heart quickened as I looked him over, instinctively questioning my safety. I didn’t respond. “You were right to stay here,” he said again. He swung the pack off his back and knelt down as he began digging through it. “Why don’t you rest over there for a bit? There’s shade.” He pointed to a little alcove in the trees. I looked at the alcove and back at the man. He seemed friendly enough. He was fatherly, but not old. My body was tired. My jaw relaxed and I decided to trust him. I nestled down into the soft leaves, hesitant to put my guard down, but also thankful for the company. Just as he hadn’t seemed to be coming from anywhere, he didn’t seem to be going anywhere either. He continued to rustle through his pack. ‘What’s going to happen to them?” I meant to appear more confident, but my voice came out as a whisper. “None of your concern,” he said. I sat in silence again as I curiously watched him pull out a large set of pruning shears and shrub clippers. He walked up and down the trail, seemingly inspecting it at all sides. At one point he stopped, shaded his eyes from the sun with his hand, and stared intently off into the distance. I followed his gaze to see what he was looking at, but couldn’t see anything. He began mumbling to himself. “There will be signs in the sun, the moon, and the stars….and on the earth distress... confused by the roaring of the seas...Mmhmm, yes,” he nodded to himself. I looked where he pointed. There was no path. “But there’s no path,” I said. I got up, slightly annoyed at the combination of his blunt confidence and aloof personality. “How do you know?” I asked, as I walked over to him and picked up the smallest of the garden shears. I began clipping away at the branches. I was ready to move on. “No, no. I’ll do it. You should get rest. You will need strength.” He took the little shears from my hand and tossed them back on the ground. “First, I’ll make your camp.” He removed the rest of the items from his pack. Among them, a tent. He took his time putting it together. When it was done, he stepped back, admired his work, nodding to himself before he began collecting small branches for a fire. Again, he took his time. When it was finished and the flame held strong, he stepped back and admired his work. He gazed into the flames. Every night he would make camp, and then go off by himself, standing still and gazing off into the distance like he had that first day. On the third night, I noticed his gaze always seemed to be following a pattern of stars in the unpolluted sky. Sometimes, as we walked together down the freshly paved trail, both lost in silent thought, he would suddenly utter something out loud, almost as if he could read my mind. How long will it be like this? I thought. “It’ll get easier,” he said. Will it always feel so lonely? I wondered. “There will be others. There are others,” he affirmed. “What’s here…?” My voice trailed off as I suddenly saw what he saw. There was nothing more to cut down. We had tumbled out onto a wide, flat trail. It appeared our rustic trail had intersected with another. “But what is this? Where are we?” I said. Just then, something whizzed past us in a blur of excitement. “He’s here! Oh, hi! How are you? Who are you? Come quick! He’s here!” It was a little boy, itching with energy and excitement. The boy hurriedly dashed up the wide easy trail before us. “Who was that? Who’s here?” I asked the man. The boy came dashing back down the hill toward us and took my hand before I could wrap my heart around the man’s words. “Come!” The little boy squealed and pulled me along. I had no choice but to race up the hill with him. Excitement and enthusiasm radiated from him like sunbeams, and I could not help but laugh out loud. When was the last time I had done that? When did I last feel joy? I looked back to see if the man was following, but I could not see him anywhere. I didn’t get to thank him. Tears of gratitude welled up in my eyes as I reflected on what he had done for me; on where I would still be if he hadn’t come. We approached a clearing as the trail curved up ahead of us. Night was falling, and you could see nothing but the navy blue of an early evening sky. The last of the sun had just gone down. The first of the night stars flickered bright, directly ahead of us. The height of our altitude shocked me as we approached the edge. From the look-out point above we could see a village. The glow of lights below us illuminated the side of the mountain. I smelled food and a great feast. I heard music and faint peels of laughter. Something stirred deep within my heart. to the Light pouring in. Pond, Clayton. “The Kitchen in My Former Studio.” 1968.
attempting surgery in the dark. this lack of light, unbearable. more soap, more scrub; no difference. and I must wash again. although the light is still out. although the light is out. I stumbled across this, written over a year ago, as I was searching my archives for the perfect first post for The Mustard Seed Conspiracy. At the time I wrote it, I was living in a house whose kitchen boasted but one single light, two bulbs, in the center of the ceiling. On dark winter evenings, I’d wash my dishes and think them clean, only to wake up the next morning and see them in the light - still dirty. My weary disgusted-ness at gross bits of old food are how I feel when I discover my flaws resurfacing time and time again, no matter how I try to amputate them. The annoyance of re-washing dishes over and over mimics my continual frustration at being human, at my endless attempts to get it right and the mistaken feeling that perhaps I could, if only I could see a little better. The last stanza reflects my best hope for myself: that I could live as God sees me, relaxing into His love and letting it cover over my multitude of sins. eager to shed off the death in their fall leaves. she resonates with the fall trees. being whipped about by the fall breeze. she clings to her belief. as she gazes and reflects on this beautiful death. a different shade of gold, a different hue of grief. just like them she’s changing. the crisp air reveals her breath. I am finally able to sit down in silence with this piece of scrap paper covered in scribbles of half-processed and fast-written thoughts; a slight drizzle drips outside, a cup of hot tea in hand (although where’s the crisp air? ), and a cuddly kitten on my lap (who can’t quite seem to decide if she wants to stay or go). Yes, I can write now. After five years of dreaming about it, I was finally able to make it to Hutchmoot. That’s a long time. Also, it seems, the best time. A year earlier would have been too soon. A year later, possibly, too late. I entered into Hutchmoot at the tail end of stripping so many things away that don’t belong to me or who I am. I arrived at the precipice of entering into a truthfulness, staring down into it from that cliff of doubt and practicalities, but filled with the courage to finally jump. I knew deep in my spirit that this weekend would give me the wings to glide off. I knew that I was ready. Yet, as I entered the doors of Hutchmoot on the first day, paging through all of the books, observing the artwork and listening to the conversation, an all too familiar voice whispered to me, “You don’t belong here.” The lie is deeply rooted in the fall of humanity. This lie I have been tempted to believe most of my life. Many times I have reached out and chosen this lie. Many times I have accepted it. I have chosen it out of self-doubt and perfectionism, thinking I could never be good enough. I have chosen it out of protection from opportunities and dreams and people and relationships that I long for and love deeply, that mean so much to me I would break to be rejected. It’s a lie that has usually left me on the outside looking in. This is a lie that seperates. Thankfully, the spirit of Hutchmoot is a Kingdom spirit. Thankfully, the Kingdom spirit sings over the lies. The lies feel stupid amidst all the beauty, and they leave. They quickly realize they have no power, even to the smallest of humans, standing on the edge of the cliff, peering off into the abyss below, wings strapped on tight. The fog below ebbs in and out, giving way to patches of intense clarity. Yes, there’s something down there. I hesitantly walked into the auditorium on the first day for the first plenary, not knowing what to expect, only to be quickly and warmly scooped up by Hutchmoot veterans before I could even find a seat. I would soon find out I was in a place where the welcoming speech mostly consisted of comforting all the introverts. A place where people don’t ask the dreaded, “So what do you do?” - but rather, “What do you create?” or “What do you write?” or “Why are you here?” A place where even the chef is a writer, and even the meals are immersed in story and meaning. I was in a place where you don’t have to constantly be on the lookout for “your people” because you’re already surrounded by them. A place where every form of artistic expression is deeply woven into each other. I was in a room full of resonators, and the ring of our notes playing off of each other was loud enough to drown out a thousand lies. And the truth is, if I don’t belong there, than I truly don’t belong anywhere. Hutchmoot - it’s essence, is mission, its values, its people, its joy, its community, its passion, its vision, everything! - embodies who I’m becoming as a person. It embodies who I’ve always been. It embodies who I am. I am a writer. I am a creator. I am a servant in a Kingdom of beauty, with the gift of the eyes to see it, and the responsibility to show it to others. Hutchmoot gave me the permission to create. It said “YES” to all that needed affirmed. It surrounded me with a group of people to cheer me on, some from the top and some from the bottom, as I leap off of the cliff. So here I go, awkwardly winged, into the fullest of truths. I want to be the blessing. for me and for my neighbor. Let me be the blessing. overcome by my own humanity. Even my best attempts are ugly. Apart from me all is still. My shovel only interrupts a work that is not yet complete. all for me and for my neighbor. I am reminded of you when I see the snow come down. The cold wind blows through my street as the snow falls lightly. Lightly you cover the sidewalks, the trash that lays along the street. And sprinkle the flakes in between the branches of the trees. The dead leaves that create slopes in the snow. Into my words that I use to stomp on my dead leaves. I am reminded of you when I see the sun peek through the clouds. I notice that you teach me through your light and warmth. The brightness beats down on the cold of the winter snow. Slowly you melt away the snow and the outlines of what is underneath starts to emerge. You bring awareness of what no longer needs to be and what can stay. Back to teaching me I am alright. 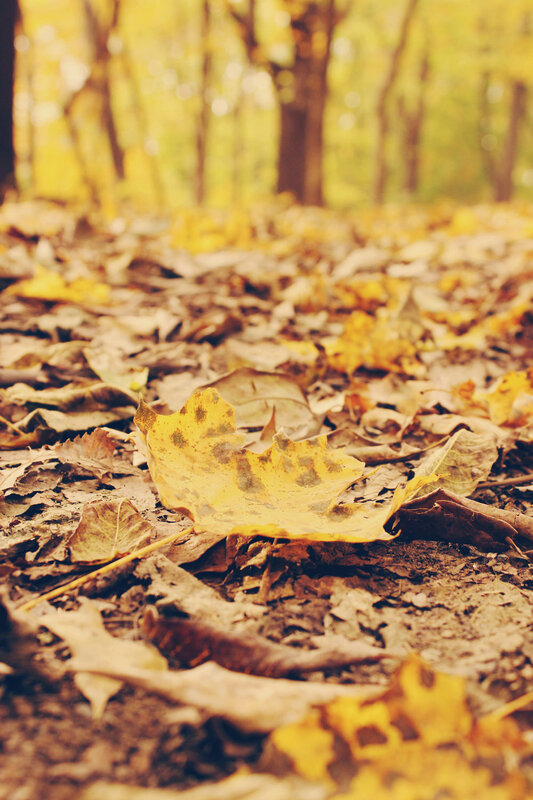 To push aside the dead leaves and make room for what is to be. I am reminded of you when I see the green stem push through the ground. I notice you teach me through your gentleness and rhythm. Removing those dead leaves so there is more of you. Julia is learning how to intentionally love her neighbors in Lancaster City, Pennsylvania. She enjoys yoga, reading, and taking cute pictures of her cats - Mona and Coconut. Ash Wednesday. The first day of the Lenten season. A season I once ignored, but over the recent years have come to find meaning in. A day I once celebrated, but over the years have chosen to ignore. Yet this year the days seem to have aligned in a perfect balance. Today the country will be filled with red hearts and chocolate, roses and little girls dressed in pink, couples getting dressed up for fancy meals in fancy places. And at the same time, somewhere in between, will be those who are entering in to a season of less, of reflection, of yielding. To relinquish what is dear and loved. To let it go. To mark it by smearing our foreheads with that which is from the earth. To remember our humanity. To acknowledge our place as broken humans - naturally covered in dirt, in ash, in death. To withdraw with Jesus into the desert. To identify with hunger and temptation. To walk with him down the Via Dolorosa towards death. Love given to a God, and love received from a God who has found us in the desert; who fed us, clothed us, and forgave us; who led us into victory at the end of a hopeless road; who wiped clean the ashes of death from our foreheads with his breath of life. Today we receive ashes as a symbol of our mortality, in reverence and remembrance. And as you pass the hearts and roses, may you be reminded of a love that has transcended our dirtiness and brokenness and re-routed the road that once lead to death towards eternity. Today, let love be a symbol of our immortality. May you experience more of Jesus as you reflect on the love of God this Lenten season.